Lots of people come to the ASPCA Adoption Center with a “wish list” of traits for their new pet. They have a certain, age, breed, gender or temperament in mind, and we do our very best to provide them with a perfect match. But often, these same people meet an animal that inspires them to throw their whole list out the window, and Natasha was one such person. She and her new cat, Lala, are proof that sometimes, there’s just no formula for a new best friend. Here is their Happy Tail. 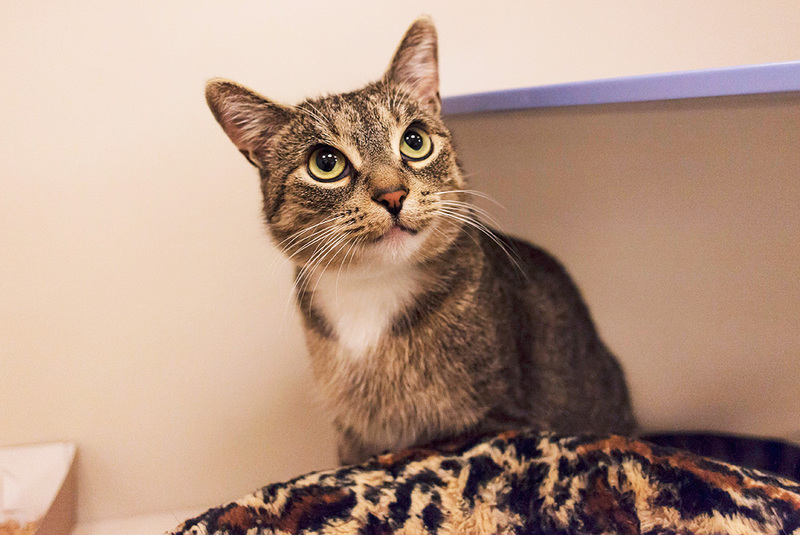 Lala arrived at the ASPCA in January after being transferred from the local city shelter with five other cats. She was friendly but extremely shy, and she had a tendency to cower away from loud noises, strange objects and new people. We worried that her reticence would make it difficult to woo adopters, and for weeks she was continually passed over for other, more gregarious pets. Then, just before Valentine’s Day, Natasha showed up. “I’ve wanted to adopt a cat for a very, very long time, and this year was the first time that I had the capability to do so,” Natasha tells us. 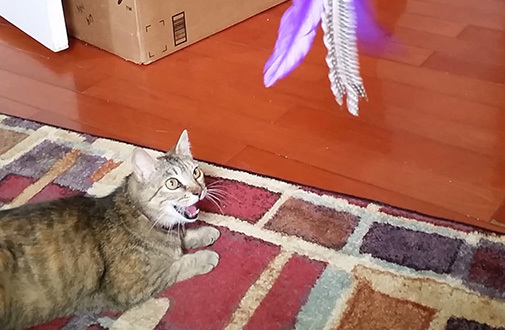 After moving into a new pet-friendly apartment in January, she became what she describes as “cat crazy,” stating, “I absolutely needed a cat to join the family. All I could think about was cats!” She spent some time researching shelters in her area, but was ultimately drawn to the ASPCA for our variety of benefits, including the fact that cats over the age of three are free. 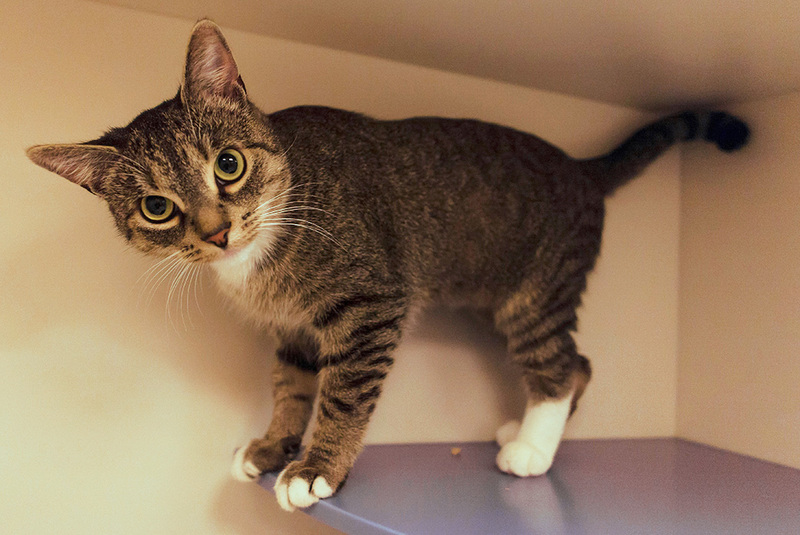 But when she arrived at the Adoption Center, the very first cat she met was Lala. “Lala was not a lap cat,” Natasha says. “She enjoyed being petted, but only if she got to stay in the far corner of her kitty condo. When we put her in the interaction area, she immediately bolted to hide behind any structure and refused to be bribed with treats.” Thinking that Lala wasn’t the perfect fit, Natasha went on to meet other adoptable cats who fell more in line with her request for “lap cattitude,” but none of them felt like the one. After heading home, she couldn’t get Lala out of her mind. 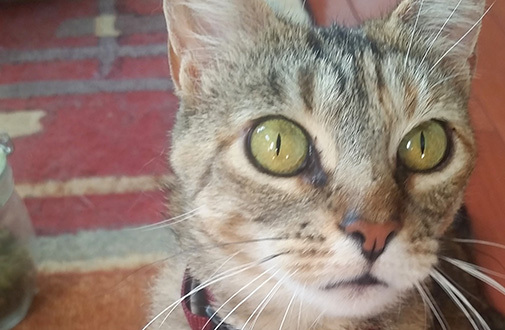 “I realized I may have recklessly given my heart away when I showed Lala’s—and only Lala’s—adoption profile to people whenever I discussed getting a cat,” she says. A week later, Natasha decided to return to the Adoption Center to “make absolutely certain I wasn’t just delusionally building up my connection to her in absentia,” she jokes. “Nope! I still felt a great rush of affection for her, even when she stayed in the corner of her cubby.” On February 18, Natasha made the adoption official, and she and Lala headed home to begin their new life together. Congratulations to Lala for finding the perfect fit!